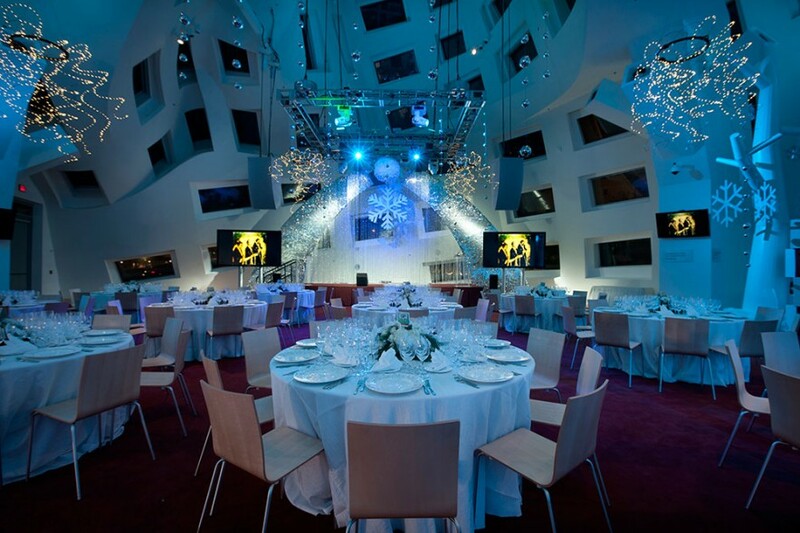 La Chaîne des Rôtisseurs is an international gastronomic society founded in 1950 in Paris to revive the traditions of the royal guild of goose roasters chartered in 1248. The Chaîne is dedicated to bringing together those who share a mutual interest in cuisine, wine, and fine dining in a spirit of camaraderie. 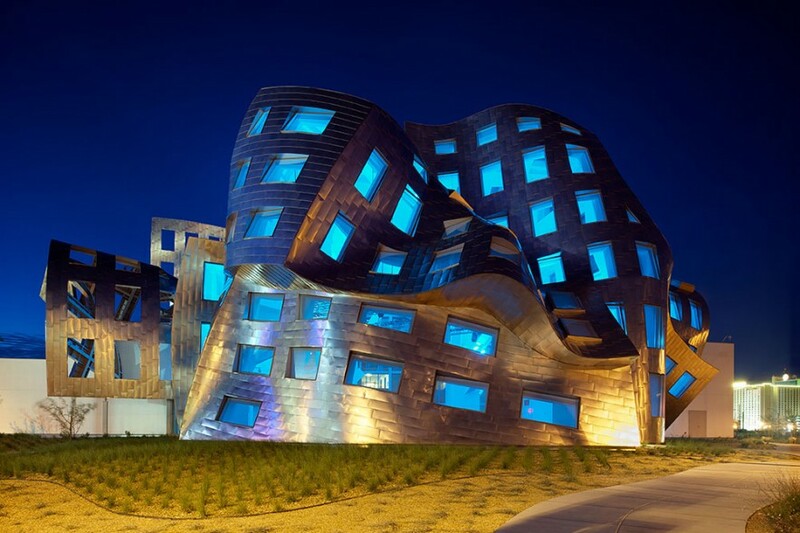 Each year a group of selected nominees are inducted into the organization and this dinner was held at the Keep Memory Alive Event Center within the Lou Ruvo Center for Brain Health. 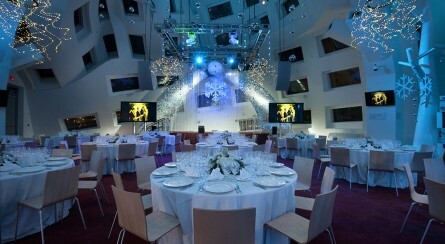 A Winter Wonderland theme was implemented. 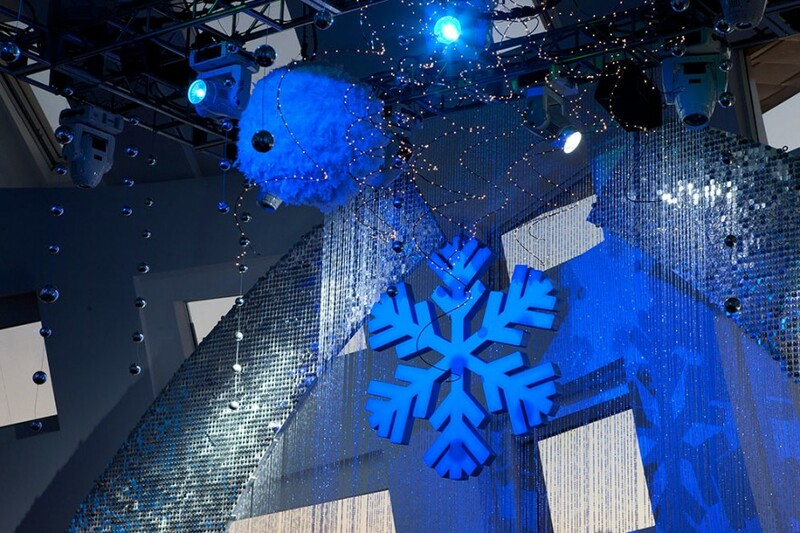 The stage was decked out with a silver paillete arch and an oversize snowflake in the center with crystal beads accenting the background. 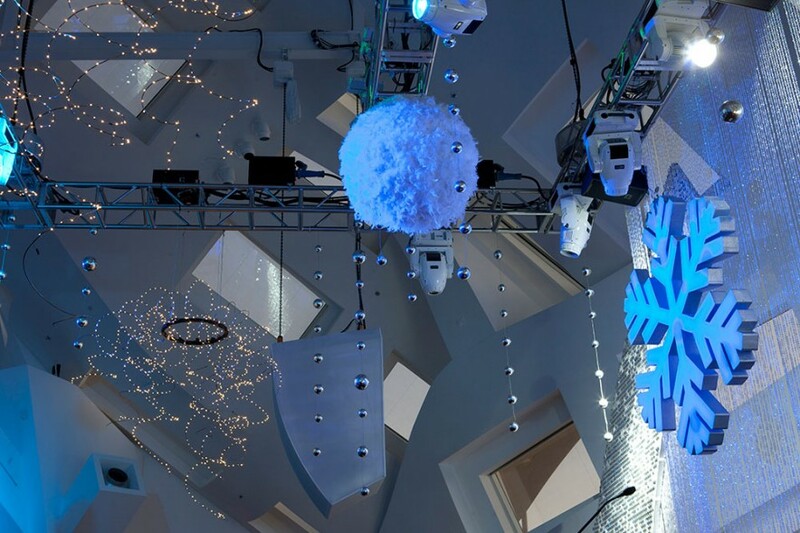 Ceiling decor included ‘firefly’ chandeliers and chrome ball strands and the lighting in the room changed throughout the night with hues of blue and red. 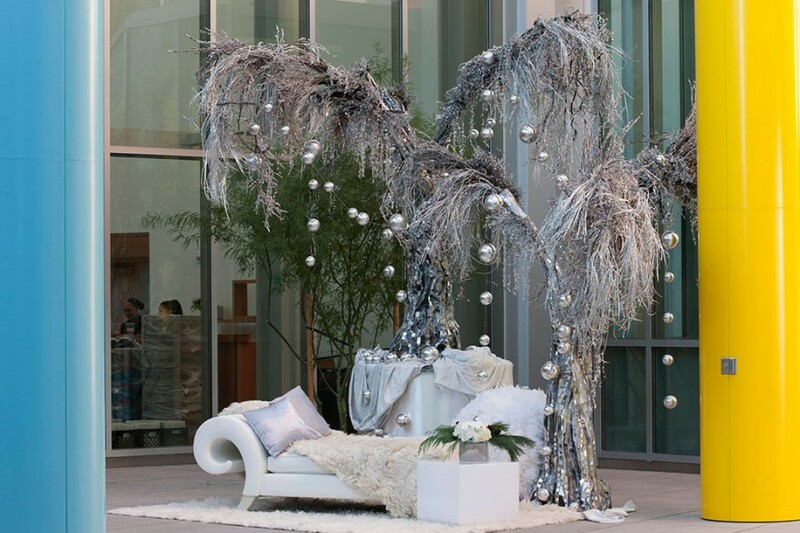 The perimeter decor included large, white structural trees accented with crystals beads, snowflakes, and chrome ball strands along with stacks of large gift boxes. 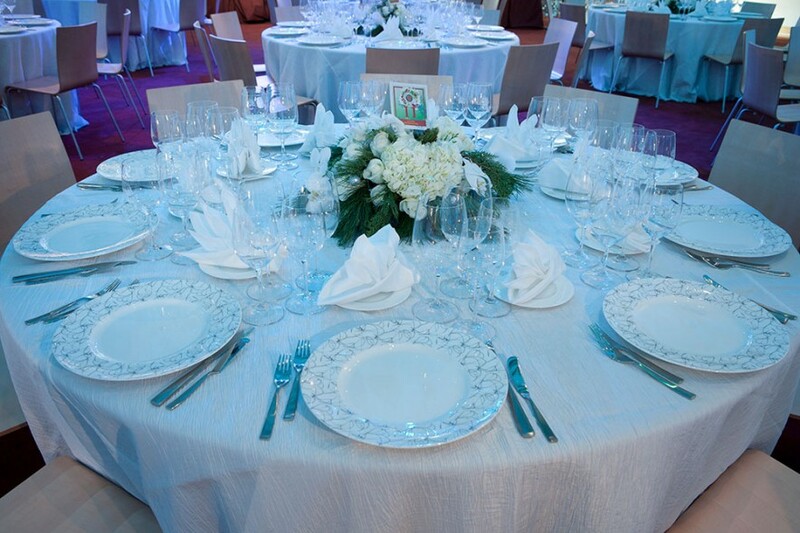 The dining tables were covered with white Fortuny crush linen and adorned with a beautiful floral centerpiece incorporating white roses and fresh fir. 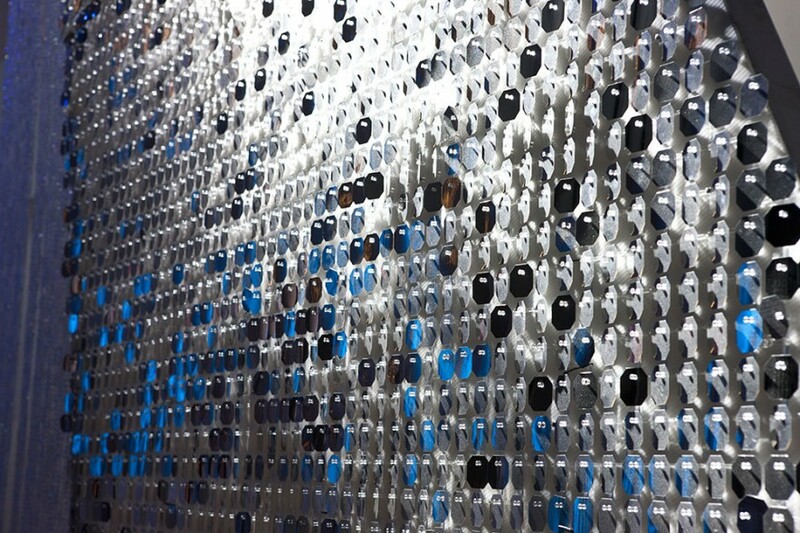 The lighting in the room changed throughout the night with hues of blue and red.